The topic of paying student-athletes has gone on for years. It seems as though within the past couple years, the topic has gained more momentum. 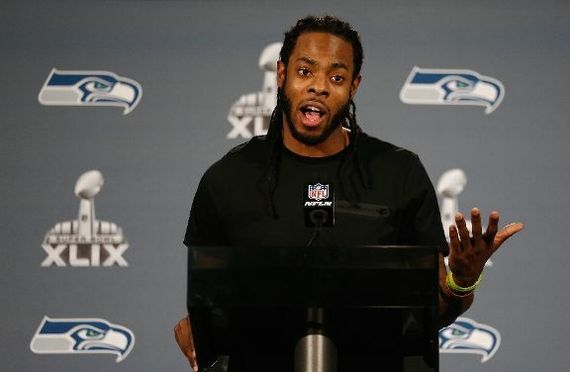 With the help of the documentary, Schooled: The Price of College Sports, along with athletes like Richard Sherman and Michael Bennett speaking out on the topic, there is a lot of attention on the expectations of student-athletes and their performance on the field and in school. Having had direct experience as a student at a university that is prized specifically on the winningness of their football program, it has become clear to me that there are some discrepancies between receiving a "free education" and what that actually entails. Having been a Sport Industry major at The Ohio State University, I found myself very concerned with the reoccurring topic of paying student-athletes. This subject found its way into many of my classroom discussions, in which as students we were challenged to understand both sides of the spectrum: receiving a full-ride scholarship in which many students don't have the luxury of receiving, and the unrealistic assumption that these athletes are fully supported on that scholarship. These discussions often times polarized many students in the classroom. Finding myself more aligned with paying student-athletes, I became more interested in understanding the amount of time, effort, and vulnerability that was associated with these athletes endeavors. Recently watching the video of Richard Sherman clearly stating his opinion that "college athletes are not given enough time to really take advantage of the free education that they're given", and that "those aren't the things that people focus on when talking about student-athletes," has reignited the fire in me to continue this discussion. I feel as though for many student-athletes, there is an injustice occurring in many profit making sport programs. I feel that it's unfair to use the free education card when these "students before athletes" are not given the time and resources to fully take advantage of that opportunity. There are many points and issues to this argument, and while both have great significance, it is an issue that we need to continue talking about however complicated it may be. From one of my favorite lines in the Schooled documentary (which can also be found on Netflix), "All you have to do is give athletes a voice at the table. That's where change really begins, that's where honesty begins, and it's where the solution really begins." I urge anyone who is reading this, that is curious about the topic, to expand their knowledge on the issues surrounding the initiative of paying student-athletes, and lets continue this discussion.